Elder Abuse Remains Major Problem in U.S. The decision to place a loved one in a nursing home is never easy. But when a loved one requires more care than their family is able to provide, nursing homes should provide a safe, trusted, and nurturing environment. Unfortunately, many elders suffer abuse and neglect at the hands of their nursing home caregivers. Approximately 12 million Americans receive long-term care in assisted living homes; about 6.3 million of them are elderly. The size of the Baby Boom generation means that the elderly population will continue to grow in the United States, and it is estimated that by 2050 more than 27 million Americans will require some kind of assisted living. People over the age of 85 are one of the fastest growing sections of the population. The aging population of the U.S. means that an increasing number of elderly loved ones will require care in nursing homes, but numbers on the level of care provided in these homes are grim. More than 50% of nursing home staff admits to abusing (including physical and mental abuse and neglect) elderly patients. Between 1999 and 2001, 1 in 3 nursing homes in the U.S. were cited for violations of federal standards, and 1 in 10 nursing homes had major violations that placed residents in serious harm. 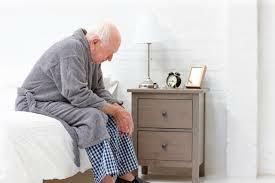 Physical abuse, psychological abuse, and neglect are the most common forms of elderly abuse. Cases of elderly abuse at nursing homes regularly make the news: a man in Florida is suing the nursing home caring for his father after millions of dollars of his father’s fortune was misappropriated by the home. A family in Brooklyn is suing the home caring for Rita Trolz. Trolz’ condition left her with a significant risk of falling, and the home failed to keep her room free of obstacles, causing her to fall and suffer serious fractures to her hip and neck. This month, a Virginia nursing home worker was charged with multiple accounts of elder abuse including shaking and spitting on patients. Many cases of nursing home abuse occur in non-elderly individuals who have mental or physical disabilities. Nursing homes and other care facilities can be held accountable for the conditions of the home and the hiring and management practices of staff. These homes can be held accountable for a failure to properly hire, train or supervise staff members who ultimately abuse patients. They can also be held accountable for hazardous or unsanitary conditions inside the home that lead to injuries (including hazards that lead to slip and fall accidents, and unsanitary conditions that lead to disease or infection). If you are concerned that a loved one may have suffered abuse in a nursing home, contact our NH Injury Attorneys today to schedule a free consultation and learn more about elder rights. Our attorneys have represented many elderly clients whom were injured due to the negligence and carelessness of hospital and nursing home staff. We offer a free telephone consultation and the call is completely confidential.